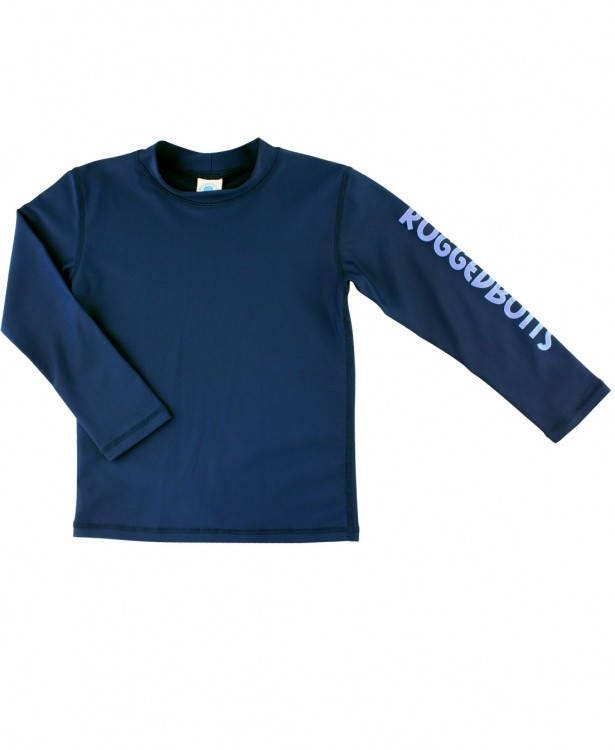 Our first ever RuggedButts Long Sleeve Rash Guard is great for those active little guys who need some extra coverage. 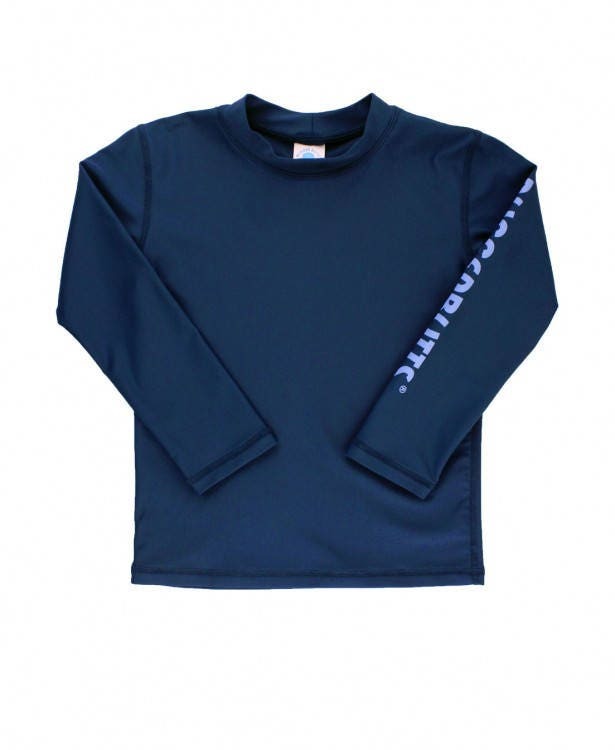 The UPF 50+ fabric will keep him safe from the sun's harmful rays. 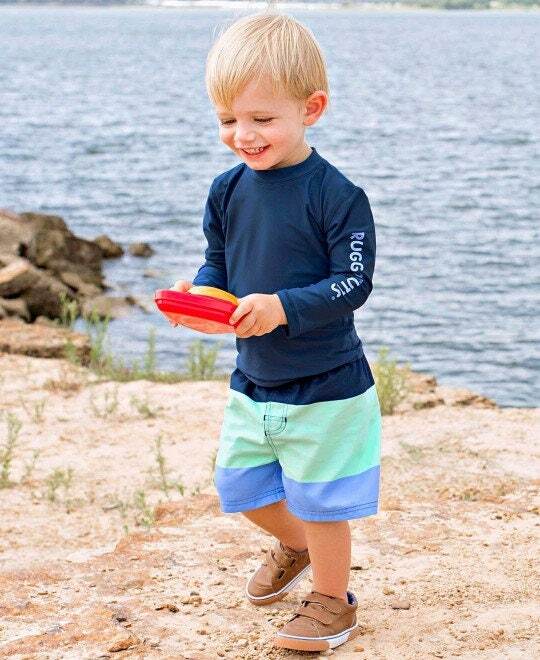 The classic solid navy makes it easy to mix and match with your favorite RuggedButts swim trunks.